You might have noticed I didn’t post Day 4 yesterday. I stepped out of my comfort zone in a different way, so I’ve been debating on whether today’s title should be Day 4 or Day 5. 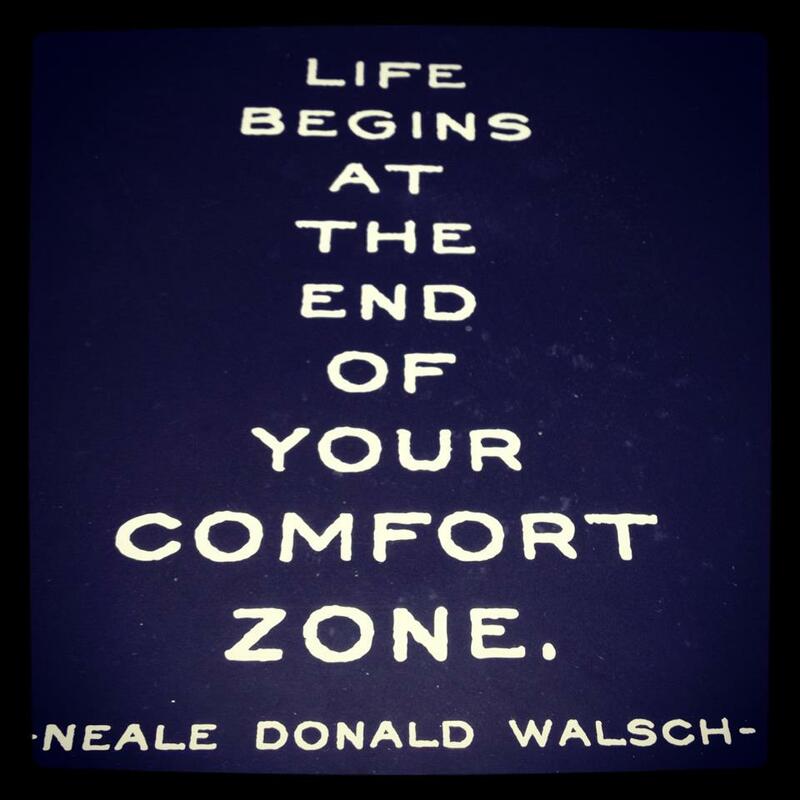 Instead of writing outside of my comfort zone, I actually stepped outside of it and spoke face-to-face with someone about things not within my comfort walls. I found myself revealing uncomfortable things but with ease, and I believe it’s because God was right beside me the whole time, and I felt he actually led me to speak specifically with this person. If you’ve kept up with the past 3 days, you may have learned some new things about me and my life over the past several years. Please understand that I’m not complaining. Honestly, I don’t feel I have a right to complain. I know that my life has been wonderful compared to some people’s and horrible compared to others. For that reason, we are not to compare any part of ourselves with others. The life you live is your own, and that’s the only one you should be concerned with as far as judging. It’s not a competition between whose life is the best or worst. Instead, focus on how God can use you in whatever situation you find yourself in. And I’m saying that to myself just as much as I’m saying it to you. I truly have tried to make the best of my life over the years, but honestly it’s difficult sometimes to continue to make the best or be your best when the situation is consistently knocking you down and putting you in a place of nothingness, a place where you feel like you are and you mean nothing. The fact is, when you feel knocked down the majority of the time but still present yourself with a smile on your face as if everything is perfect, you’re setting yourself up for disaster. I think women tend to do this more often than men for some reason. Women are so beautiful and loving and compassionate and nurturing, but the Enemy loves to pit us against one another in a catty comparison game so those precious strengths aren’t being utilized. Even when it’s unintentional, we find ourselves comparing everything against other women: appearance, parenting, marriage, work, cooking, etc., so we hide anything that people can view as a fault because we don’t want the women who appear to have it all together thinking that we don’t. He really is good, the Enemy. He knows what our strengths are and wants to weaken those as much as possible. But I digress. One thing I’ve learned is by bringing things to light, it’s impossible to remain in darkness. I don’t necessarily feel it’s my place to bring things to light that are out of my control regarding others, but I do think it’s important to own up to my own failures. Pretending that everything is great means I’m keeping certain things in the dark, and in the dark is where the Enemy likes to play. Those things kept in the darkness are an open invitation for him to come in and cause chaos. Unfortunately, I fell into this, and it was when I thought I was strong enough to resist him that I fell flat on my face. Proverbs 16:18 says, “Pride goes before destruction and haughtiness before a fall.” Pride can be a variety of things. In this particular situation, my pride was regarding my walk with Christ. I was living my plan and reaching people like I never knew I could, and I was allowing God to use me in so many different ways. I felt like I was walking in-sync with him. I didn’t feel I was above others, but I was proud in that I thought I was so close to God that I would surely not be taken by one of Satan’s traps. So when I fell, I fell hard. And when I fell, the ground beneath me shook. The link below is something I wrote during that time. I thought I was bringing things to light when I wrote this, but in all honesty, I think I was just admitting that I had messed up, but I said nothing more. Things still weren’t brought to light. When I wrote this, I thought I had overcome the attack and made my way out of the trap, but all decisions are followed by consequences, and those are still being lived out. When I published this post a couple of years back, it was certainly not the end of the trap in which I found myself. I had no idea what was ahead of me.